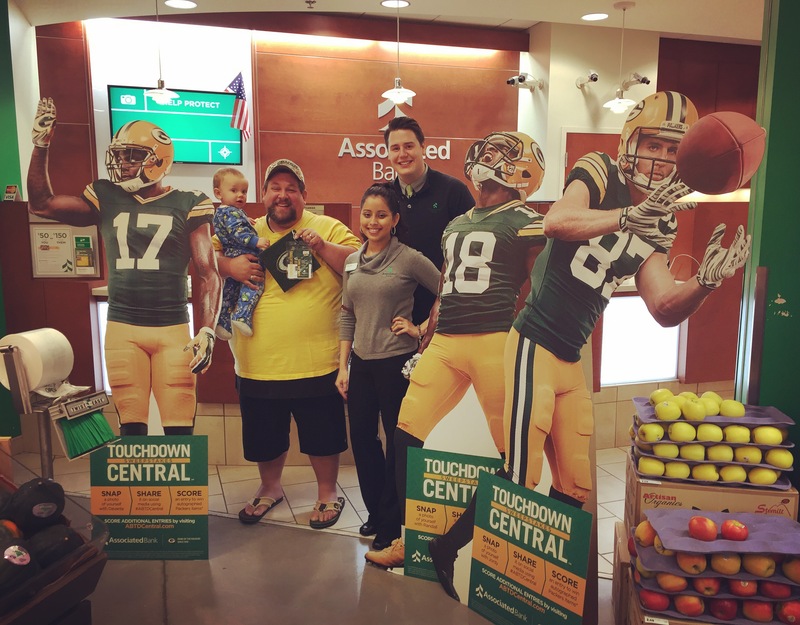 Watertown, Wis. – November 6, 2015 – Local resident, Matthew Shultz recently found a piece of simulated Lambeau Field turf at the Pick 'N Save location on South Church Street in Watertown. The piece of turf is part of a fan engagement and United Way donation program sponsored by Associated. Shultz located the turf by tracking clues posted on Associated’s Facebook and Twitter sites. Approximately 300 pieces of turf will await finding at Associated branches and other prominent locations throughout Wisconsin, Illinois and Minnesota until November 17, 2015. Clues will continue to be posted for additional locations of turf on those social media sites. For finding the turf, Shultz and a guest will be invited to an exclusive Associated Bank-hosted event in December where they will have the opportunity to meet and mingle with Jordy Nelson, Randall Cobb and Davante Adams at Lambeau Field. Shultz and other Wisconsin winners will also receive autographed merchandise and have a photo opportunity with the Packers’ players. Illinois winners will have the opportunity to meet Matt Forte at Soldier Field, and Brad Johnson will congratulate Minnesota winners at Target Field. Winners will also leave with autographed merchandise and a photo opportunity with the featured player.